Homemade laundry detergent is an easy DIY, but it can be somewhat of a daunting task to make at first. 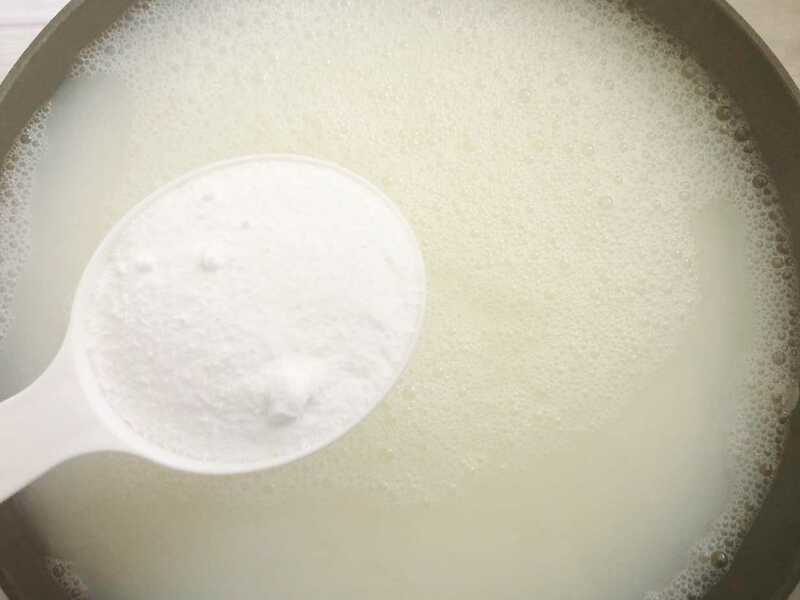 If you want to know how to make laundry detergent, this recipe will be a good one to start with! There are several great benefits to make your own laundry detergent: you can control the scent, and you avoid most of the chemicals that are unnecessary in cleaning your clothes. 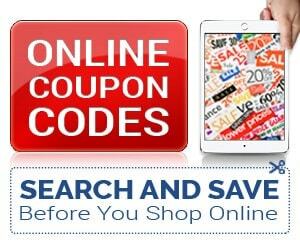 And, the biggest one that made me interested in figuring this out was the cost savings! 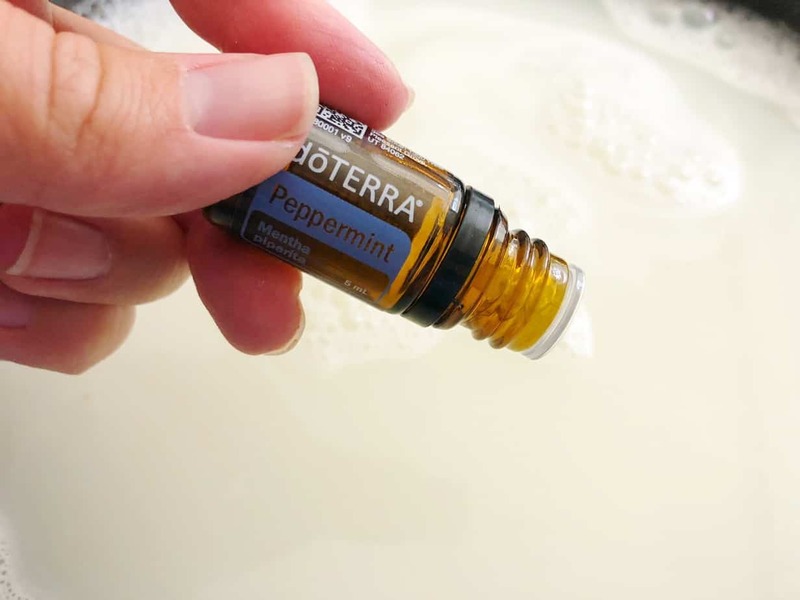 You can save so much money when you learn how to make your own laundry detergent that you will be hard pressed to purchase a bottle in the store again! You can find all of the ingredients for homemade laundry soap at most stores or on Amazon. You can add a lovely scent using essential oils. 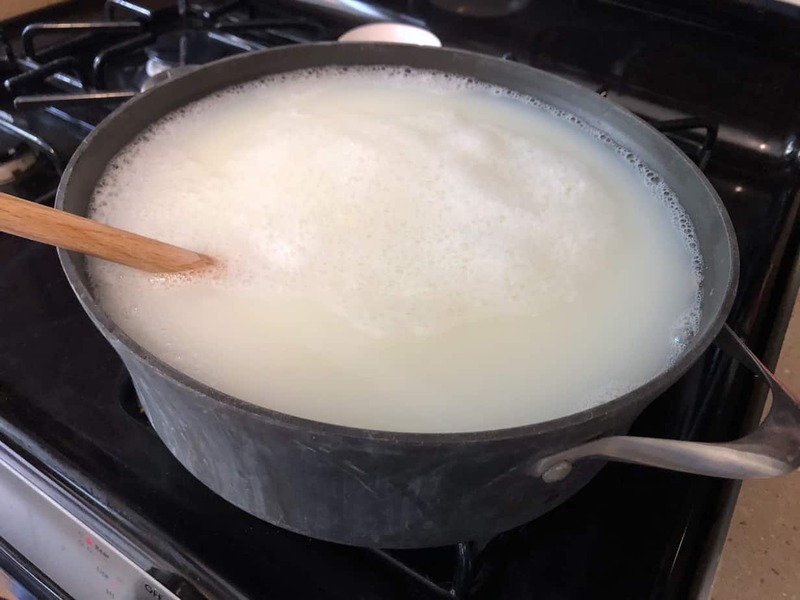 Most other liquid soap recipes call for making 10 gallons at a time, I do not personally have storage space for 10 gallons, but feel free to double the recipe and stock up if you do. This homemade laundry detergent recipe makes 5 gallons and is more than enough to last me awhile. 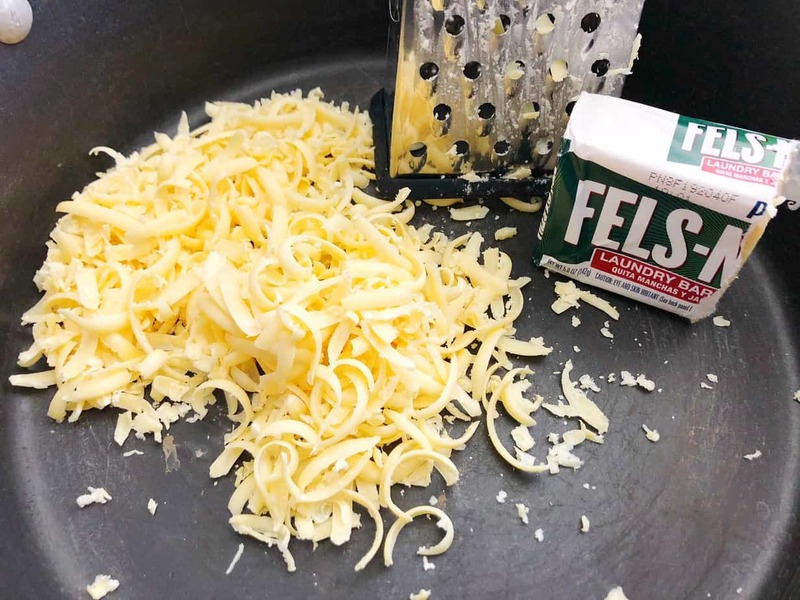 Grate ½ bar of Fels-Naptha Soap. I grate the whole thing while I am at it and put the rest away in a baggie for the next batch. 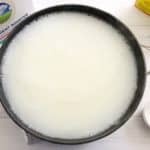 In a large pot on your stove top pour about ½ the water, and grated soap. Warm over medium-high heat stirring continuously until all flakes are dissolved. Remove pan from heat, add washing soda, Borax, essential oils, and remaining water. Stir well to combine. Cover with a lid and let it “cure” overnight. Stir again and transfer to containers, filling halfway and then the rest of the way with just water. You can use recycled laundry soap containers, gallon milk jugs, or pitchers. I use recycled milk jugs to store excess and a pretty gallon glass jar to sit on my washer for what is being used currently. I tied on a twine ribbon, and made a “hook” with a paperclip to hold the measuring cup, I like to have one dedicated to just my laundry soap so I am not scrambling to find one at wash time. Be sure to save this on Pinterest for later! 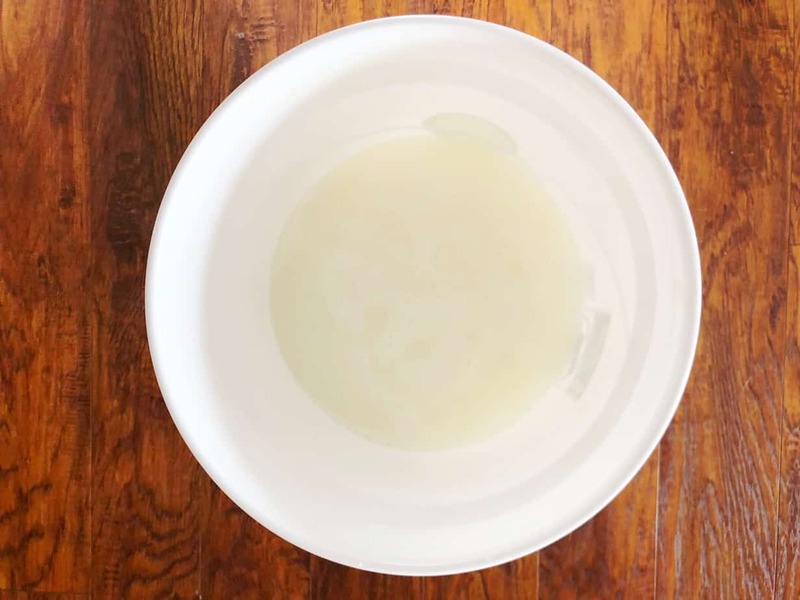 With just 5 ingredients, this homemade laundry soap is an easy DIY laundry detergent recipe to make if you want to learn how to make laundry detergent! Best part: it's all natural and chemical-free!! Can you use this on new washer/dryers? I know I have to buy he detergent and am always afraid of using anything else. Washers arent cheap to repair or replace. Can’t wait to try this. Have pinned it and will buy the ingredients this weekend. Let me know how you like it Rebeca! I have been using this soap for over 2 years now but have of late noticed white streaks on dark colors. Has anyone else experienced this? If so is there anything I would be able to do to correct this? I love making and the inexpesiveness of this detergent. Donna, I haven’t heard of that issue. I’ll do some googling to see if there is a solution out there. It could be a laundry machine issue. I’ll comment here if I find something to help out! I’m excited to give this a try! Do you use about the same amount per load as you do regular/ store bought liquid detergent? Thanks! Hi Anna, yes, use the same amount. Although I never used the “recommended” dosage the store bottles have. I always use 2/3 of what they suggest. I only use a couple of tablespoons in my front loader, I used to use 1/4 cup in my top loader. Oh, and if you have trouble finding washing soda, which is sodium carbonate, and is a very safe water softener, try your hardware store. I used to be able to get all of the ingredients at the grocery store, but as all of these new and fancy, and expensive, cleaners are introduced, they squeeze the very plain and inexpensive old fashioned products out. I’m surprised I still see borax at the grocery store. Probably because so many families use it to boost detertent when cleaning diapers. Fels Naptha is also a great stain remover. Something else you don’t have to buy. Just wet the stain and rub the bar into the stain.. One bar which costs 1.89 around here, will last a long time used just as a stain remover. I also mentioned cleaning my washer, there are lots of tutes online, but I use vinegar run through a short cycle and I also carefully clean the seals on my front loader. I have used this recipe for years. The only difference is I used to use ivory soap flakes, which they stopped making years ago. 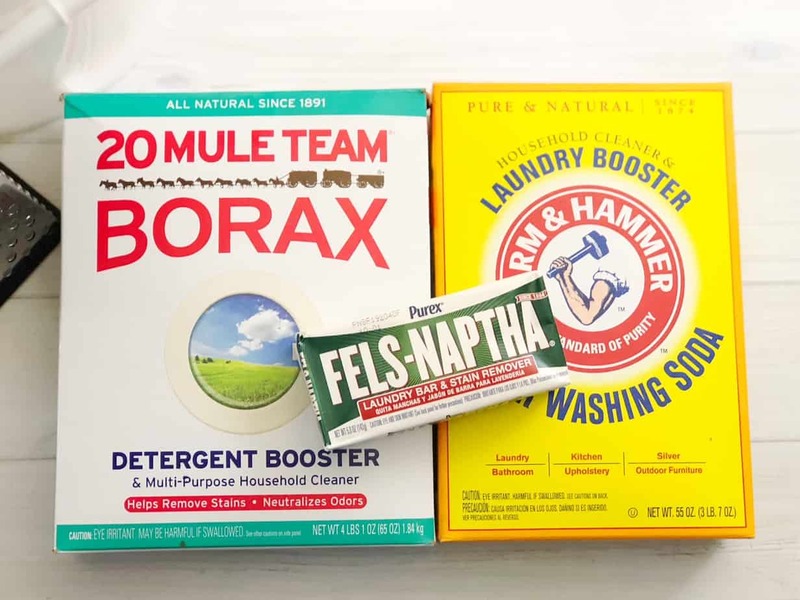 Fels Naptha is a great soap, and much more effective at cleaning. I now have one of the new front loading washers and it works fine with it as well. I actually use a little less. I would much rather deal with a small amount of soap build up than deal with the strong chemicals that build up from the detergents, that no one know what will do to us, and takes more than one wash to get it out of your clothes. 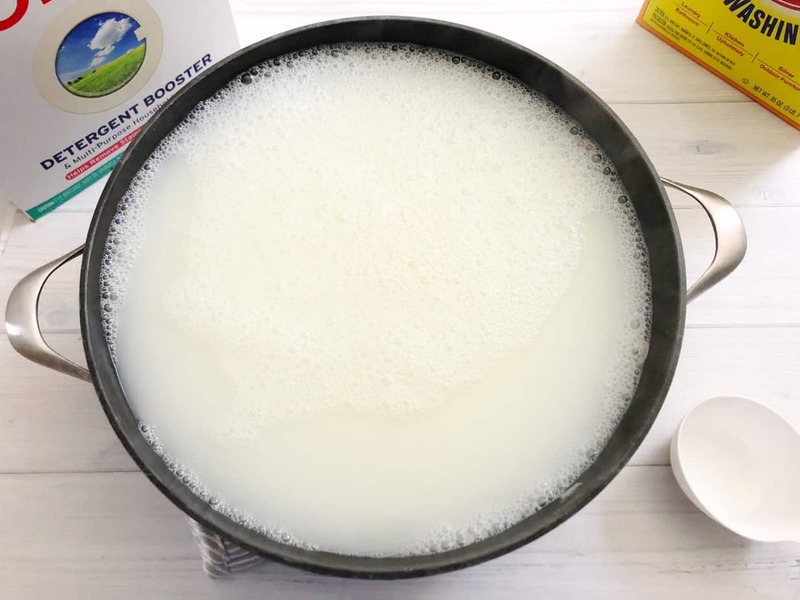 Learn to make your own softener too, because the chemical kind really coats your clothing, be it liquid or sheets, because of the current laws, they do not have to disclose what these chemicals are. Testing has shown some of them to be very hazardous. 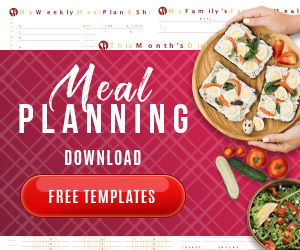 The home made recipes on this website could be saving more than just money. Where do I find the essential oil? Reba, you can get the essential oils here: https://savingslifestyle.com/YoungLiving – when you sign up as a distributor you get the cheaper price (which is what I did, and there are no strings attached).